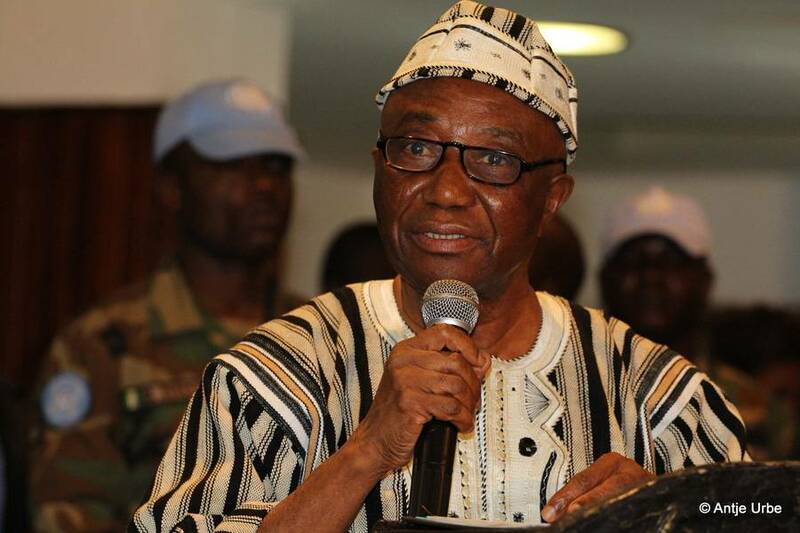 Vice President Joseph Boakai wants Liberians to promote their cultural values and practices. Culture is a way of life of a group of people - the behaviors, beliefs, values, and symbols that they accept, generally without thinking about them. Those values are passed along by communication and imitation from one generation to the next. VP Boakai said it was important to celebrate the way of life laid down by the founding fathers of the land even in this modern era. He said culture defines people and how they live and as such it was necessary for Liberians to preserve their culture, something he said promotes national unity. Vice President Boakai was speaking when he served as keynote speaker at the 5th edition of the annual golden image awards held at the Monrovia City Hall. The Golden Image Awards organized, by the Liberia Crusaders for Peace, is part of the 168th Independence Day celebrations due to be co-hosted by Sinoe and Grand Kru Counties. Amb. Boakai lauded the Crusaders for Peace for always engaging in initiatives that promote the cultural heritage of Liberia. The Liberian Vice President praised recipients of this year?s Golden Image Awards and urged them to serve as role models for the promotion of world peace. He added that culture is a dynamic phenomenon that continues to evolve with time and circumstances saying ?as a nation we must strive to uphold and promote our cultural values and practices?. "Culture defines a people and how they live. 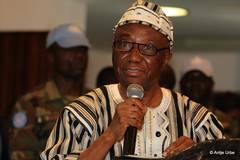 The Government is fully aware of the need for plotting efficient and effective action plans that will reinforce and streamline our national cultural policy and that this policy formulation is informed by our rich cultural history and experiences" Boakai noted. For her part, the Chief Event Planner of the Golden Image Award Juli Endee said they have already formulated a financing and sustainability plan for the annual event which will soon be submitted to the government. She wants the government and her international partners to fully support the event by committing finances in the budget for the Golden Image Awards. Amb. Endee said sustaining such a national annual event cannot be achieved by a single organization, noting that without support from the government and partners it will be difficult to continue the program. She then extolled the African Union and West African Super Power Nigeria for the level of work they have put into the country?s fight against the deadly Ebola virus. The AU, in particular, contributed the highest amount of volunteer doctors and other health workers to assist in the process. About 26 awards both local and international were given out to deserving individuals and institutions. They include the Carter Center, the Chinese and United States Governments, as well as individuals who played lead roles in the fight against Ebola in Liberia.